Today, Team 4 went to the Encino Farmers Market from 7:00am – 1:00pm to do some outreach. One of our current goals is to get more involved in the local community and help spread the FIRST message. 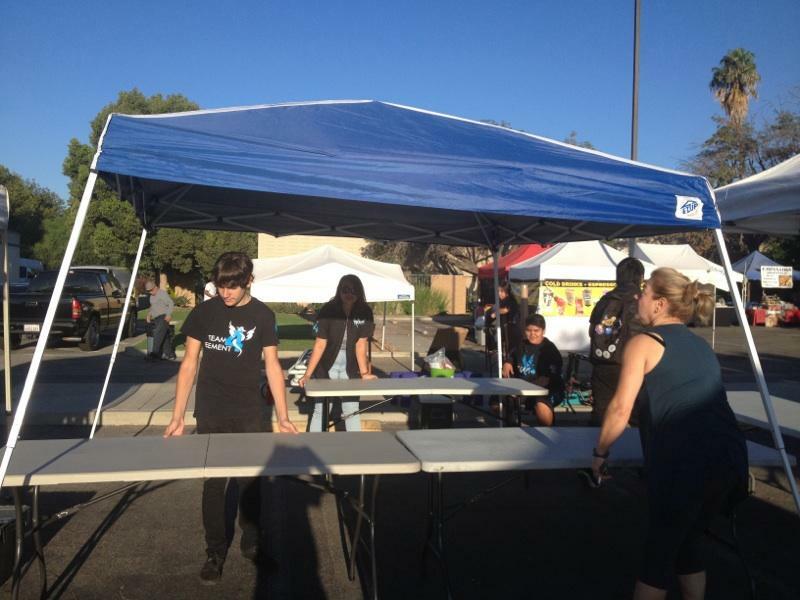 When we found out about the farmers market right across the street from our school, we jumped at the opportunity to set up a booth dedicated to getting more people involved in FIRST. 26 of our team members signed up for this event and had a blast. 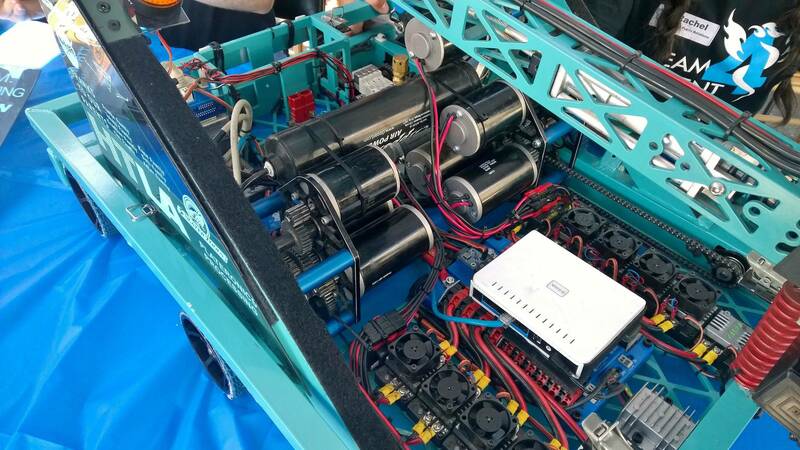 The community was excited to see our robot, and they were even more amazed when they heard what our team had to say. 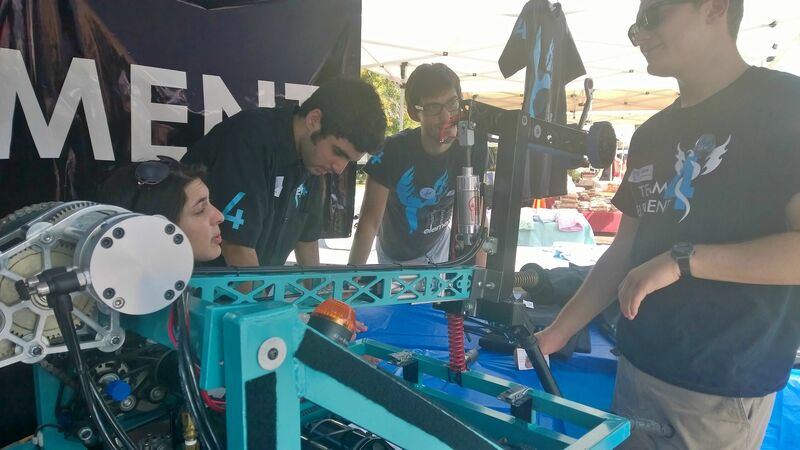 We’re student-run, so everything they see on the robot is designed, manufactured, and programmed by students on our team (unless otherwise specified). It wasn’t long before donations piled up and our business card pile dwindled down – so many people wanted to get involved. We’re grateful to have such a supportive and enthusiastic community. 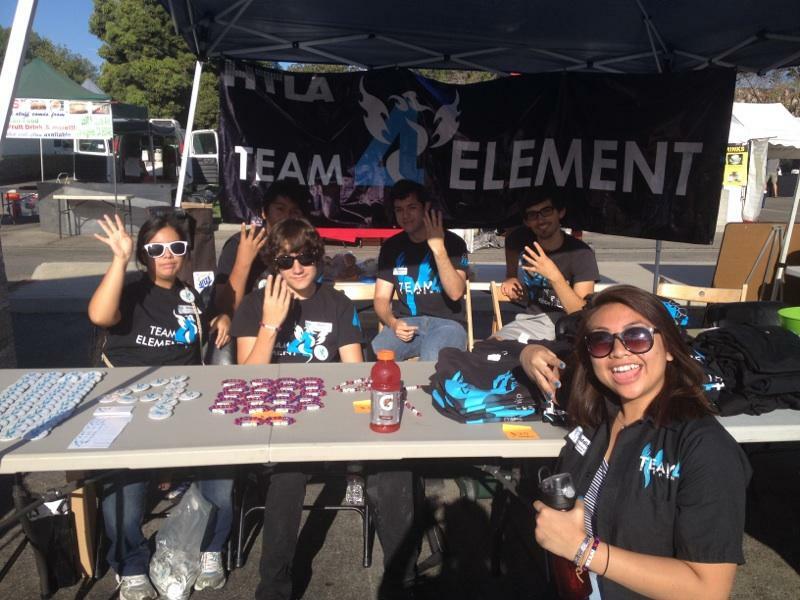 Team 4 will definitely be visiting the Encino Farmers Market again soon to continue spreading the FIRST message. There are only a couple of days left of build season and we are working harder than ever! Our robot is almost done and we are just putting on the finishing touches. Bag and tag is slowly approaching which puts us all on edge but the whole team plans on putting in the extra time so that we can get our robot completed. The students are passionate about having a successful robot this year and have put in a lot of work over the last couple of weeks. Our whole team would like to wish Mr B a Happy Birthday. We all appreciate everything you do for us and hope your birthday is amazing and filled with joy! The students are currently preparing for the wiring of the robot. They are stripping the PWM wires that will go on the robot. It is also time to order Team merchandise! Here at Team 4 Element we take our merchandise very seriously. We make sure that when we are at competition we show a lot of team spirit by wearing our shirts and team colors. Although waking up at 6 am was not the easy, we couldn’t be more excited about this new year and competition. We started our first day with a delicious breakfast, and then moved on into watching the announcement of Aerial Assist. As the brainstorming went on for the entire day — stills going on– we tried prioritizing the functions of our robot. And lastly here is a sneak peak of our day was. The crew finished fixing our four handed friend’s gearbox today, Machamp. The axel was slipping. This year’s new members continue working on their VEX robots. Last week, we received our shipment of VEX apparatus parts and the entire Team is looking forward to building it. One group out of the fourteen has already finished their robots. We are so excited to welcome our new members, class of 2017! After their first week of getting to know each-other and our school, our mentors interviewed them about their interests and abilities.